Morgan has relatively new options for music lovers in course selections, all taught by band teacher Raymond Smith. If you want to learn how to play the guitar, Beginning Guitar is available as an elective. Learn how to compose music electronically in Electronic Music. The influence of different genres of music can be learned in History of Rock and Roll. Students earn a half a credit for one semester in each elective. No prerequisites required. Beginning Guitar is an introduction to playing the guitar for those with no experience at all. 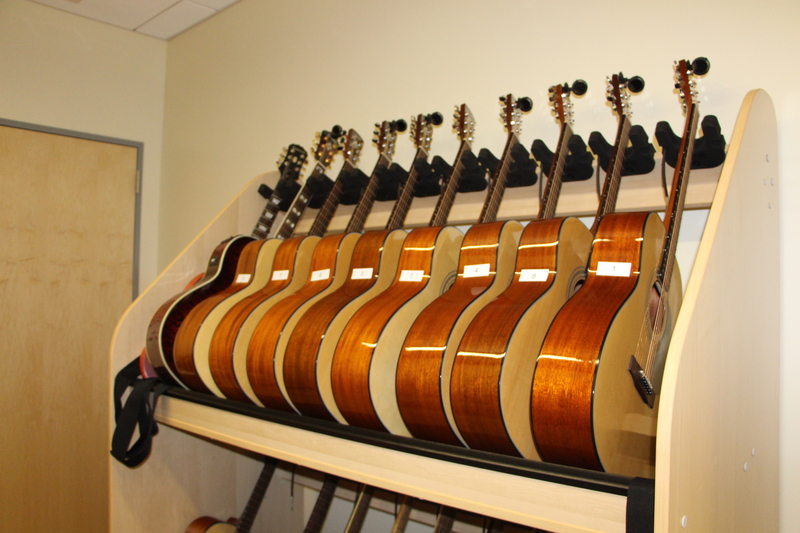 By the end of the semester, those willing to learn could be creating and playing their own songs. Since guitars are provided, those who are interested in learning how to play the guitar do not need to own a guitar. 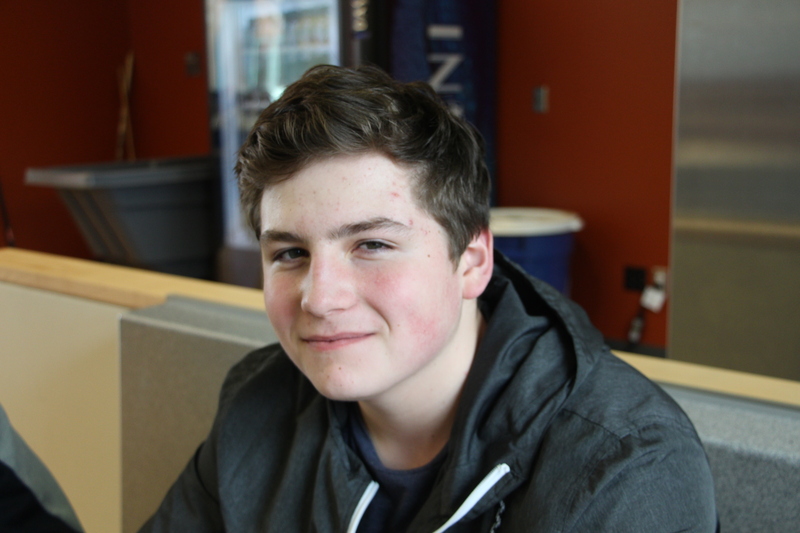 Freshman Jacob McDonnell joined Mr. Smith’s other course, Rock Band (advancement of Beginning Guitar). Jacob shares how students in the class “collaborate and bring songs to the table. It’s an open learning environment where we all teach each other.” Students play and sing songs. They are looking for others who play the guitar, bass, keyboard, and other instruments. Electronic Music is an elective where students can create their own music using technology. Programs Garageband and Sibelius are used to record and loop music. Students don’t need any musical experience to be successful in this course. Mr. Smith is there to provide assistance to the students. Another new elective, History of Rock and Roll is where students learn the music itself and the effect it had on our history by focusing on iconic musicians and different influential time periods. Students will learn the effects that music genres had on our politics and musicians’ point of views. Mr. Smith uses lectures, recordings, movies, videos, and activities in this course to show his students what they need to know. Currently, Mr. Smith is teaching the History of Rock and Roll about the racial influence that black musicians had on our society, history, and politics. By delving into subgenres, such as rhythm of blues and older musicians that most students have never heard of, Mr. Smith gives students a chance to learn new types of music in chronological order. If you are interested in musical electives, consider checking out History of Rock and Roll, Electronic Music, and Beginning Guitar!